Our clients can avail from us a range of Beach/Garden Umbrellas that are best suited for outdoor use for the protection of users from the elements. Further, these are also used as promotional and advertising tools. In addition to it, these are offered in customized form as per the needs of the clients. 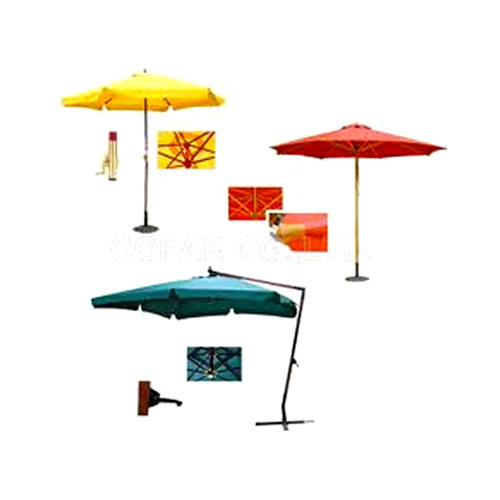 Moreover, these are available with the stand, hence the tilting mechanism is not possible in these kind of umbrellas. Patel Manufacturing was established in 1965 with a very small-scale industry. Now Patel Mfg is a leading manufacturers and exporters of Imitation jewelry, beaded jewelry of asian and western design items, In full ranges of jewelry, bags and other handicraft items as per customer desire and choice. We at Patel Mfg. Assure that the material used is of consistent superior quality and ensures luxurious, deep finishing and fine detailing. We constantly update our wide range of products for special occasion. All our products are present in exclusive and aesthetic designs at competitive prices. We also accept any new design that selects carefully the craftsmen we deal with. As a founder, I have got years experience to handle a production line. It's a great feeling to have a good responds from buyers all over the world.